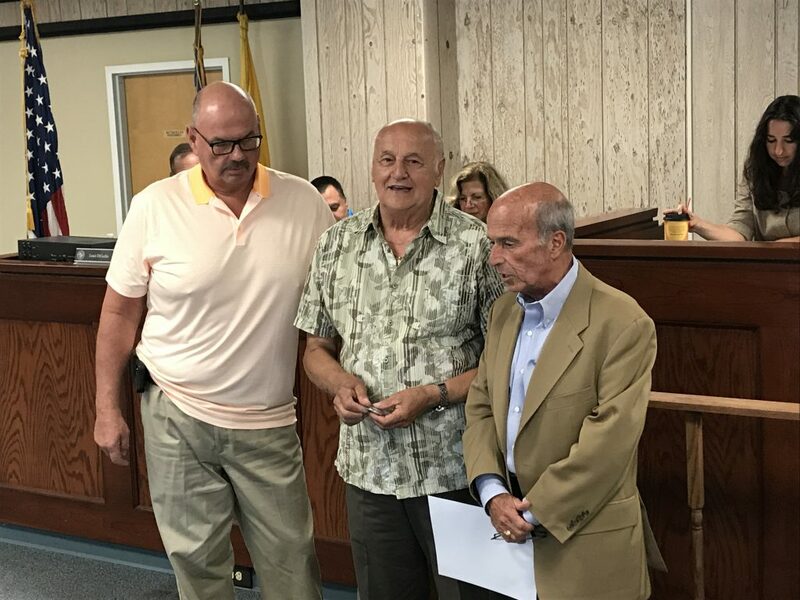 A quirk in New Jersey state employment statues forced a popular member of the Seaside Heights borough council to step down last year, but he has now returned – with the town thanking the long-serving official who held his seat for nine months. Richard Tompkins returned to the dais this month to replace Councilman Guy Mazzanti, who was appointed to fill the remainder of Tompkins’ term on the governing body after he retired from his full-time job at the New Jersey Turnpike Authority. In order to receive his pension, he was barred from public employment in New Jersey for six months. Though council members receive just a nominal stipend for their service, the position is still counted as a job, thus forcing Tompkins’ resignation. Mazzanti had previously served on the council as well as the planning board. He, himself, resigned earlier this month and was replaced by Tompkins, whose seat he held. Tompkins said he believes in the administration’s plan for the revival of Seaside Heights and was happy to be back.